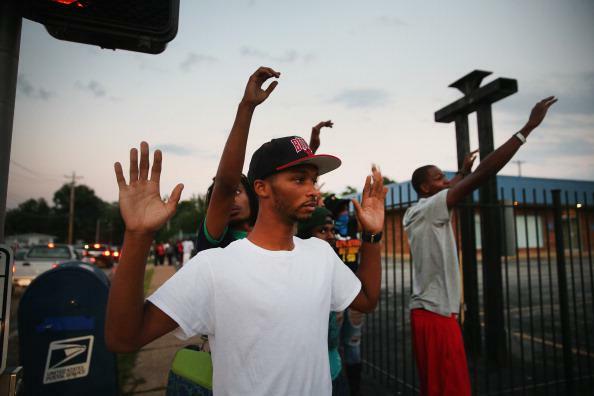 Michael Brown witness: Police allegedly turn down offer of interview. Johnson does not report seeing Brown attempt to take the officer’s gun, which police have claimed was the action that precipitated the shooting. He says Brown was first shot next to the patrol car, again after running away, and again after turning to face the attacking officer with his hands in the air. Johnson is being represented by Freeman Bosley, a former St. Louis mayor. Bosley says police haven’t spoken to Johnson and turned down Bosley’s offer to set up a meeting; the police haven’t responded to that claim.